Dr Dietzgen is internationally recognised for his work on plant virus characterisation, detection and engineered resistance. Before joining UQ, Dr Dietzgen was a Science Leader in Agri-Science in the Queensland Department of Employment, Economic Development and Innovation. He previously held research positions at the University of Adelaide, University of California, Cornell University and University of Kentucky. Dr Dietzgen’s research interests are in molecular virus-plant-insect interactions, virus biodiversity and evolution, and disease resistance mechanisms. His focus is on the biology of RNA viruses in the family Rhabdoviridae and the molecular protein interactions of plant-adapted rhabdoviruses and tospoviruses. 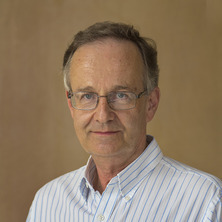 He has published extensively on plant virus characterisation and genetic variability, RNAi- mediated virus resistance and diagnostic technologies with 20 review articles and book chapters and over 65 peer-reviewed publications. Dr Dietzgen’s other scientific interests are in biofuel crops and the genomics of papaya and mango fruit colour, flavour and health bioactives. Study of molecular plant-virus-insect interactions to identify novel targets for plant disease & pest control. Main focus on negative strand RNA virus (rhabdovirus, tospovirus) characterization, biodiversity, taxonomy and interactions with their hosts and insect vectors. Host-delivered RNA silencing for disease resistance against pests and diseases. Application of next generation sequencing technologies for virus characterization and diagnostics. Gene discovery and molecular marker development for genotyping and marker-assisted breeding in tropical fruit and nut crops aimed at increased productivity. Molecular plant biology to understand physiological pathways involved in polyphenols for health bioactives, flower and fruit development and disease resistance. Assessment of the emerging biofuel legume crop Pongamia pinnata for the northern Australian landscape. Pests and diseases affecting Pongamia, development of viruses as tools for functional genomics. Dietzgen, Ralf G. (2012). Morphology, genome organization, transcription and replication of rhabdoviruses. In Ralf G. Dietzgen and Ivan V. Kuzmin (Ed. ), Rhabdoviruses: Molecular taxonomy, evolution, genomics, ecology, host-vector interactions, cytopathology and control (pp. 5-11) Norfolk, England, UK: Caister Academic Press. Journal Article: Suppression of gene silencing: a threat to virus-resistant transgenic plants? How do plant small RNAs mediate resistance to insect-borne virus infection under heat stress? Suppression of gene silencing: a threat to virus-resistant transgenic plants? Innes, David J, Dillon, Natalie L., Smyth, Heather E., Karan, Mirko, Holton, Timothy A., Bally, Ian S.E. and Dietzgen, Ralf G. (2015). Mangomics: Information systems supporting advanced mango breeding. In Thangadurai, Devarajan and Sangeetha, Jeyabalan (Ed. ), Genomics and Proteomics - Principles, Technologies, and Applications (pp. 281-307) Oakville, Ontario, Canada: Apple Academic Press/CRC Press. Dietzgen, Ralf G. and Kuzmin, Ivan V. (2012). Introduction. In Ralf G. Dietzgen and Ivan V. Kuzmin (Ed. ), Rhabdoviruses: Molecular taxonomy, evolution, genomics, ecology, host-vector interactions, cytopathology and control (pp. 1-3) Norfolk, England, UK: Caister Academic Press. Dietzgen, Ralf G. and Kuzmin, Ivan V. (2012). Taxonomy of rhabdoviruses. In Ralf G. Dietzgen and Ivan V. Kuzmin (Ed. ), Rhabdoviruses: Molecular taxonomy, evolution, genomics, ecology, host-vector interactions, cytopathology and control (pp. 13-22) Norfolk, England, UK: Caister Academic Press. Pathogenicity of Phyllosticta citricarpa ascospores on citrus spp. Dillon, N. L., Bally, I. S.E., Hucks, L. A., Wright, C. L., Innes, D. J. and Dietzgen, R. G. (2013) Implementation of SSR markers in mango breeding in Australia. Acta Horticulturae, 992 259-268. Dietzgen, R. G., Callaghan, B., Higgins, C. M., Birch, R. G., Chen, K. and Xu, Z. (2001) Differentiation of peanut seedborne potyviruses and cucumoviruses by RT-PCR. Plant Disease, 85 9: 989-992. Geering, ADW, McMichael, LA, Dietzgen, RG and Thomas, JE (2000) Genetic diversity among banana streak virus isolates from Australia (vol 90, pg 921, 2000). PHYTOPATHOLOGY, 90 11: 1295-1295. Sander, E, Dietzgen, RG, Cranage, MP and Coombs, Rra (1989) Rapid and Simple Detection of Plant-Virus by Reverse Passive Hemagglutination .1. Comparison of Elisa (enzyme-Linked Immunosorbent-Assay) and Rph (reverse Passive Hemagglutination) for Plant-Virus Diagnosis. Zeitschrift Fur Pflanzenkrankheiten Und Pflanzenschutz-Journal of Plant Diseases and Protection, 96 2: 113-123. Dietzgen, RG, Sander, E, Christner, J and Jung, G (1987) Examination of a New Cross-Linker in Monoclonal-Antibody Reaction Against the C-Terminus of Tobacco Mosaic-Virus Coat Protein. Zeitschrift Fur Naturforschung Section B-A Journal of Chemical Sciences, 42 4: 441-453. Citrus black spot: can the good endophyte protect us from the bad pathogen? Dillon, N. L., Bally, I. S. E., Hucks, L. A., Wright, C. L., Innes, D. J. and Dietzgen, R. G. (2013). Implementation of SSR markers in mango breeding in Australia. In: P. Lu, IX International Mango Symposium. IXth International Mango Symposium, Sanya, Peoples Republic of China, (259-268). 8-12 April 2010. Taing, Meng-Wong, Pierson, Jean-Thomas, Shaw, Paul Nicholas, Roberts-Thomson, Sarah J., Dietzgen, Ralf G., Gidley, Mike and Monteith, Gregory R. (2012). Assessment of mango peel and flesh extract effects on adipogenesis using the high-content ImageXpresss(R) Micro System. In: Final Program and Podium Abstracts. SLAS 1st Annual Conference and Exhibition (SLAS2012), San Diego, United States, (). 4-8 February 2012. Hoang, V. L. T., Pierson, J.-T., Curry, M. C., Flanagan, B., Dietzgen, R. G., Gidley, M. J., Roberts-Thomson, S. J., Shaw, P.N. and Monteith, G. R. (2012). Comparison of the bioactivities of peel and flesh extracts of three mango varieties. In: Programmed Abstracts. ComBio 2012, Adealide, Australia, (118-118). 23-27 September 2012. Taing, Meng-Wong, Pierson, Jean-Thomas, Shaw, Paul Nicholas, Dietzgen, Ralf G., Roberts-Thomson, Sarah J., Gidley, Mike and Monteith, Gregory R. (2012). Differential effects of mango peel sub-fractions on lipid accumulation in 3T3-L1 adipocyte cells. In: Joint ASCEPT-APSA 2012 Conference: Final Program and Abstract Book. Joint ASCEPT-APSA 2012 Conference, Medication Safety, Sydney, Australia, (144-144). 2-5 December 2012. Taing, Meng-Wong, Monteith, Gregory, Dietzgen, Ralf, Gidley, Mike, Roberts-Thomson, Sarah and Shaw, Nick (2011). In-vitro assessment of mango extracts and the phytochemicals resveratrol, quercetin, mangiferin and epigallocatechin gallate on lipid accumulation in a mouse adipocyte cell line. In: SBS 17th Annual Conference and Exhibition, Orlando, United States, (). 27-31 March 2011. Taing, Meng-Wong, Roberts-Thomson, Sarah J., Shaw, Paul N., Gidley, Mike, Dietzgen, Ralf G. and Monteith, Gregory R. (2011). In-vitro assessment of mango extracts from four phylogentically diverse cultivars on lipid accumulation in a mouse adipocyte cell line. In: Australian Food Science Summer School 2011, Brisbane, Australia, (). 9-11 February 2011. Taing, Meng-Wong, Shaw, Paul N., Roberts-Thomson, Sarah J., Gidley, Mike, Dietzgen, Ralf G. and Monteith, Gregory R. (2011). In-vitro assessment of the phytochemicals resveratrol, quercetin, mangiferin and epigallocatechin gallate on lipid accumulation in the 3T3-L1 cell line. In: Meeting Abstract Supplement. Experimental Biology 2011, Washington, United States, (586.7-586.7). 9-13 April 2011. Wilkinson, Ashley, Dietzgen, Ralf G., Shaw, Paul N., Monteith, Gregory R., Gidley, Mike and Roberts-Thomson, Sarah J. (2010). Characterisation of nutritional bioactives from mango fruit using cell-based assay. In: ASMR Postgraduate Student Conference, Brisbane, (). 2nd June 2010. Taing, Meng-Wong, Shaw, Paul N., Roberts-Thomson, Sarah J., Gidley, Mike, Dietzgen, Ralf G. and Monteith, Gregory R. (2010). In-vitro effects of the phytochemicals resveratrol, quercetin, mangiferin and epigallocatechin gallate on lipid accumulation in the 3T3-L1 cell line. In: Australasian Pharmaceutical Science Association (APSA) Focus on the Future, Brisbane, (). December 6-9 2010. Wilkinson, A. S., Lin, C. N., Flanagan, B., Dietzgen, R., Shaw, P. N., Monteith, G. R., Roberts-Thomson, S. J. and Gidley, M. J. (2008). Nutritional bioactives in tropical fruit. In: Experimental Biology 2008. Experimental Biology 2008: Today's Research: Tomorrow's Health, San Diego, U.S., (). 5-6 April, 2008. Smyth,H. E., Kirchhoff, S., Fuller, S., Abberton, K., Davis, C., Bally, I. and Dietzgen, R.G. (2008). Tropical flavours to tempt consumers. In: Tropical Fruit in Human Nutrition and Health, Gold Coast, Qld, (). 8th-11th November 2008. Wilkinson, A. S., Lin, C. N., Flanagan, B. M., Dietzgen, R. G., Monteith, G. R., Shaw, P. N., Roberts-Thomson, S. J. and Gidley, M. J. (2007). Effects Of Mango Extracts and Components On Breast Cancer Cell Proliferation. In: 41st Annual Scientific Meeting of the Australasian Society of Clinical and Experimental Pharmacologists and Toxicologists and 10th Southeast Asian Western Pacific Regional Meeting of Pharmacologists, Adelaide, South Australia, (Poster 3 - 81-Poster 3 - 81). 2-6 December 2007. Dietzgen, R. G., Bally, I., Devitt, L. C., Dillon, N., Holton, T. A., Gidley, M., Karan, M., Smyth, H. E., Sunarharum, W. and Wilkinson, A. (2007). Genomics approaches to mango varietal improvement. In: Delivering mango research : the Amistar Sixth Australian Mango Conference : conference proceedings. Amistar Sixth Australian Mango Conference, Cairns, QLD, Australia, (34-35). 22-25 May 2007. Smyth, H. E., Bally, I., Dillon, N., Holton, T., De Faveri, J. and Dietzgen, R. G. (2006). Investigating the genetic basis of mango fruit quality. In: Tropical Crop Biotechnology Conference, Cairns, QLD, Australia, (). 16-19 August 2006. Wilkinson, A. S., Lin, C. N., Dietzgen, R. G., Monteith, G. R., Shaw, P. N., Roberts-Thomson, S. J. and Gidley, M. (2006). Norathyriol, the active metabolite of mangiferin, modulates PPAR activity and is a potential nutritional bioactive. In: 2006 Annual Conference of the Australasian Pharmaceutical Science Association. Annual Conference of the Australasian Pharmaceutical Science Association, Adelaide Hilton, Adelaide, South Australia, (55-55). 3-5 December, 2006. Wilkinson, A, Hewavitharana, A, Flanagan, B M, Dietzgen, R G, Monteith, G R, Shaw, P N, Roberts-Thomson, S J and Gidley, M (2006). Nutritional bioactives in tropical fruit. In: Proceedings of the Australian Health and Medical Research Congress 2006. The 3rd Australian Health & Medical Research Congress, Melbourne Convention Centre, Melbourne, Australia, (403-403). 26 November-1 December, 2006. Heelan, L. A., Bassam, B. J., Croft, B. J., Dietzgen, R. G. and Maclean, D. J. (1999). Analysis of Oomycete pathogens of sugarcane using TaqManTM real time PCR. In: Combined Conference Abstracts: 43rd Annual ASBMB, 18th Annual ANZSCDB and 39th Annual ASPP. ComBio 99, Conrad Jupiters, Gold Coast, (Pos-Wed-35). 27-30 September, 1999. Avivi, S., Higgins, C. M., Dietzgen, R. G. and Birch, R. G. (1999). Comparison of Agrobacterium-mediated and particle inflow gun mediated transformation of peanut. In: R. G. Dietzgen, ACIAR Proceedings No. 89 ('A collaborative workshop project between the Queensland Department of Primary Industries, Australia and Bogor Agriculture, Indonesia'). ACIAR Proceedings No. 89, Kingaroy, (39-40). Mar, 99. Dietzgen, R. G., Henderson, J., Heelan, L. A., Roberts, C. A., Croft, B. J. and Maclean, D. J. (1999). Diagnosis of plant pathogens by real time polymerase chain reaction. In: Conference Handbook 12th Biennial Conference Canberra 1999 Asian Pacific Plant Pathology for the New Millenium. 12th Australasian Plant Pathology Conference (12th APPS National Conference), Canberra, ACT, Australia, (106). 27-30 September 1999. Fang, X., Zeyong, X., Zhang, A., Chen, K., Luo, L., Chen, J., Birch, R. G. and Dietzgen, R. G. (1999). Expression and inheritance of GUS gene and NPTII gene in transgenic peanut plants generated by Agrobacterium-mediated transformation. In: Proceedings of the Third National Peanut Conference. Proceedings of the Third National Peanut Conference, Shandong, China, (10-10). October, 99. Zeyong, X., Chen, K., Yan, L., Luo, L., Zhang, Z.A., Fang, X., Dietzgen, R. G. and Birch, R. G. (1999). Peanut somatic embryogenesis and transformation via microprojectile bombardment. In: Proceedings of the Third National Peanut Conference. Proceedings of the Third National Peanut Conference, Shandong, China, (2-2). October, 99. Henderson, J., Pickering, L. A., Dietzgen, R. G., Smith, G. R., Whittle, P. J. and Maclean, D. J. (1999). Real-time (TaqMan) PCR assays to detect two RNA viruses infecting sugarcane. In: Abstract book: XIth International Congress of Virology. XIth International Congress of Virology, Darling Harbour, Sydney, (). 9-13 August, 1999. Yan, L., Chen, K., Luo, L., Zeyong, X., Zhang, Z.A., Fang, X., Chen, J., Birch, R. G. and Dietzgen, R. G. (1999). Somatic embryogenesis and plant regeneration of peanut (arachis hypogaea). In: Proceedings of the Third National Peanut Conference. Proceedings of the Third National Peanut Conference, Shandong, China, (6-6). October 1999. Roberts, C. A., Heelan, L. A., Persley, D., Maclean, D. J. and Dietzgen, R. G. (1999). TaqMan RT-PCR realtime fluorescent detection of tomato spotted wilt tospovirus. In: Abstract book: XIth International Congress of Virology. XIth International Congress of Virology, Darling Harbour, Sydney, (). 9-13 August, 1999. GENETIC TRANSFORMATION OF LETTUCE FOR VIRUS RESISTANCE.